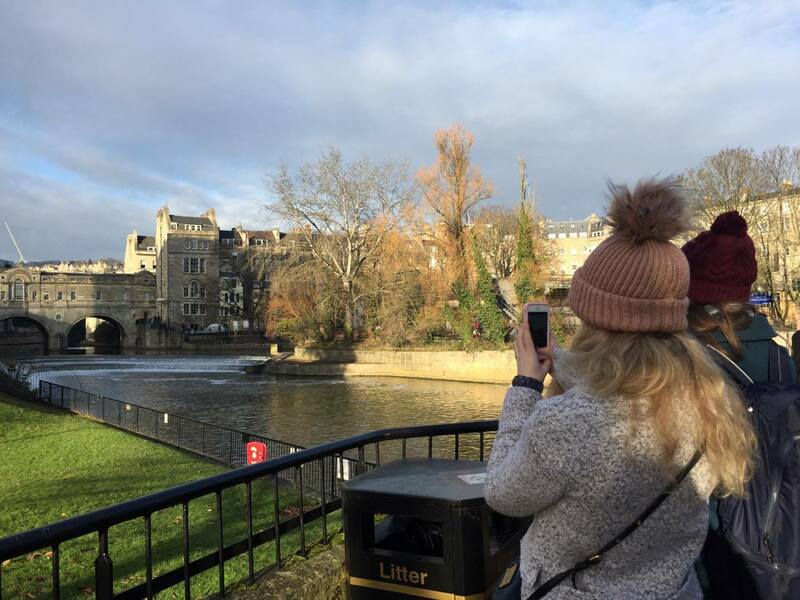 The Day Trips series is back and this time we visited Bath! If you have been following blogs since last year, you may remember the day trips I raved about that the Students Union puts on for the students. These are really cheap Saturday day trips to various destinations in England. Last year I went to Winchester, Oxford and Ascot with the Students Union. Therefore I obviously snag a ticket to Bath as soon as I was able to. I was joined by my cousin Gabrielle and three school friends, Alice, Vanessa and Katie which was really great. Bath is about a two hour bus trip away from Guildford which was a bit long but well worth it. As a bonus, this bus trip takes you past Stonehenge in Salisbury, so really it’s a two in one deal! 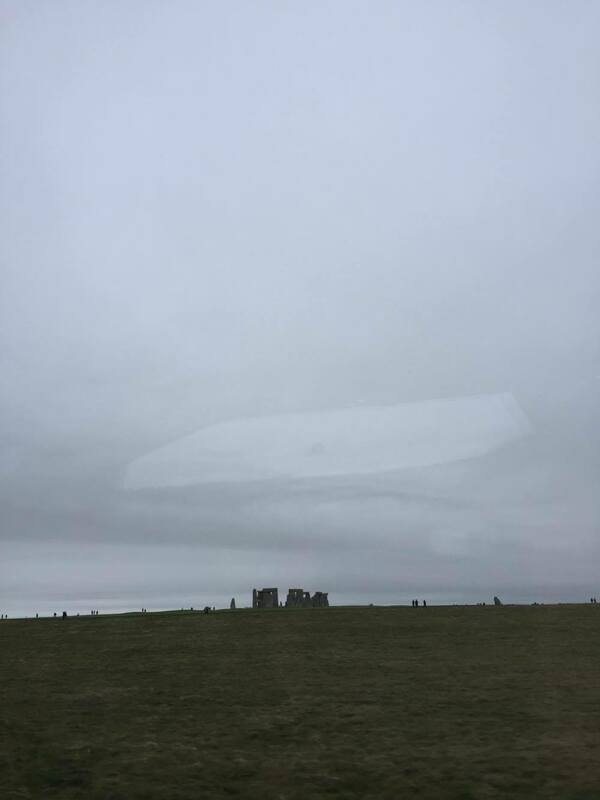 Now I can cross off Stonehenge off my UK bucket list. 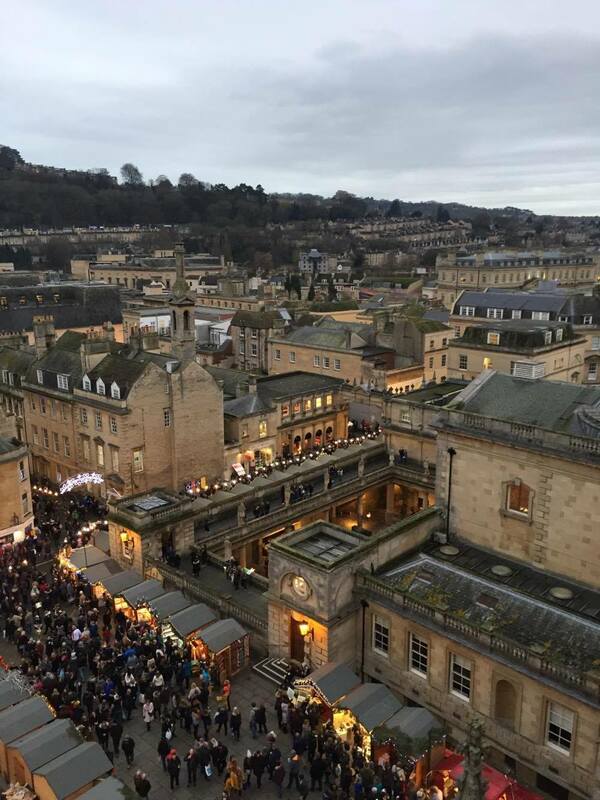 The main attraction of Bath at this time of the year is its award winning Christmas Markets, and let me tell you did it ever attract the crowds. Bath is a really beautiful city which sort of reminded me of Paris in its beautiful yellow rowed buildings but also Oxford all at once. Unfortunetly, given how busy I was prior to the trip I wasn’t able to plan the activities I wanted to do ahead of time which turned out to be a little bit more of a frustration than it normally would given that the internet did not work due to the shear about of people in Bath that day. So a recommendation for you if you plan on visiting any city that might attract large crowds is to plan ahead and maybe check out Google maps ahead of time. However, this did not stop us from having a good day. We first had breakfast as we were all starving at Cote Bistro which hit the spot before we hit the streets of Bath. We then explored a bit of the High Street core where the Abbey stands and most of the shops and Christmas market stalls are. We also checked out a coffee shop and an artisan Christmas market which were secluded from the crowds a little bit which was well welcomed. 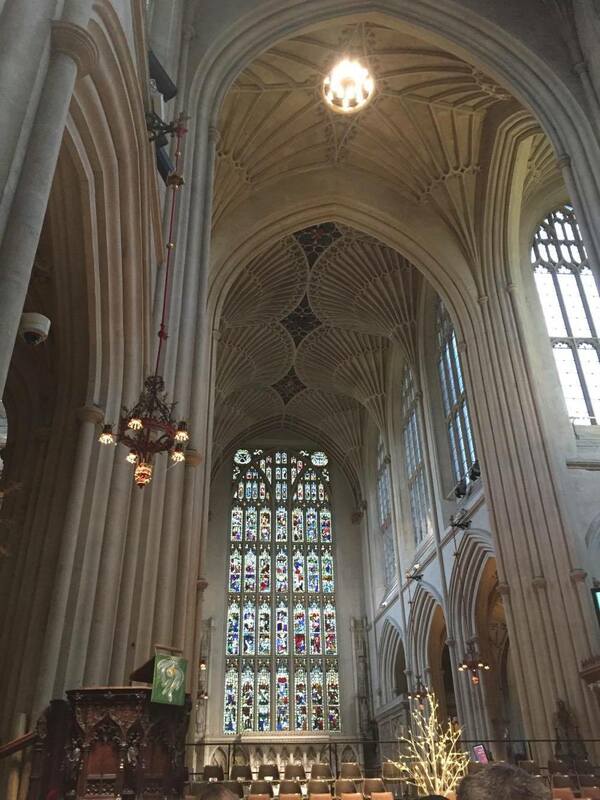 We also attended a carol service in the Bath Abbey which was really nice as we all participated in the singing of traditional Christmas carols. 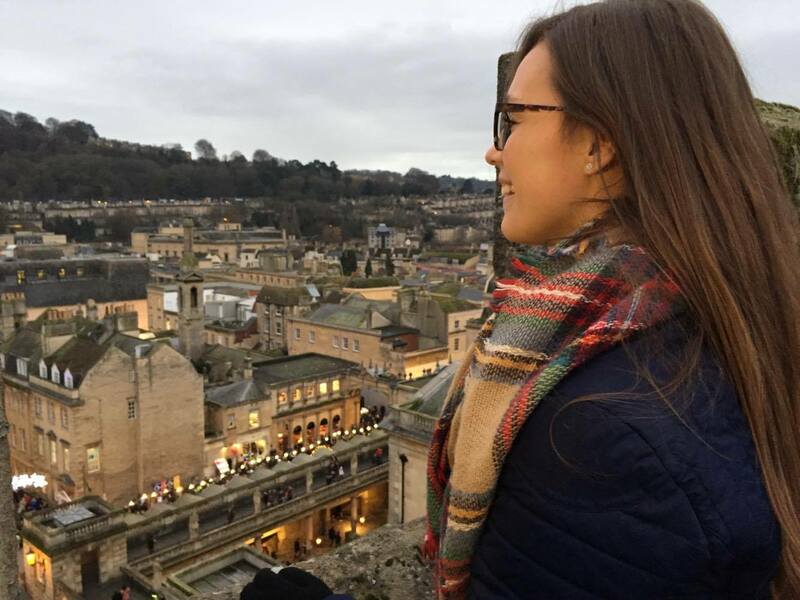 Wanting to get a little bit of tourist information about the city of Bath we decided to book the Tower Tour of the Abbey. Here we climbed 220 steps in a narrow steep staircase with a stop halfway in the ringer’s room. This part was really fascinating as our guide explained the different bell ringing methods that have existed through time and even gave us a demonstration of a Christmas carol on the bells. 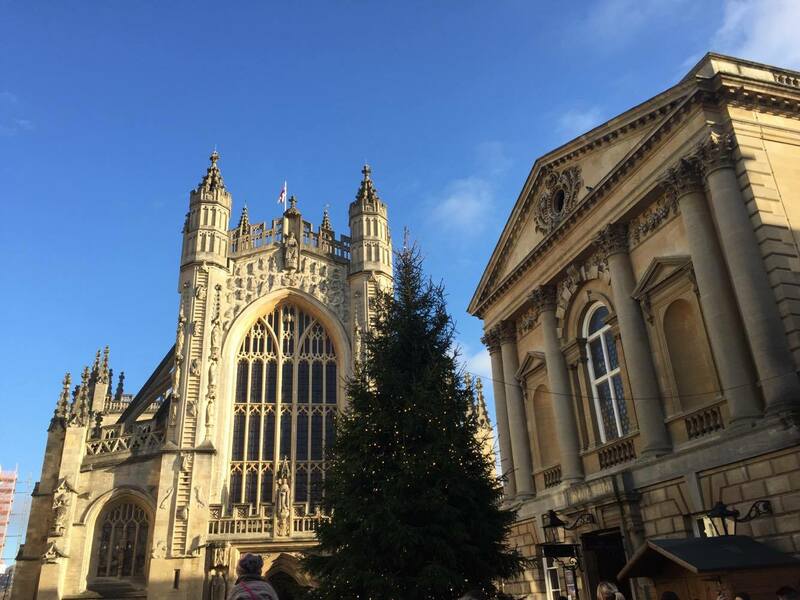 As we finished climbing the steps and crossing the roof of this enormous Cathedral we were welcomed with hot chocolate and mulled wine as we got to enjoy the beautiful 360 degree view of Bath. As it was dusk the lights that lined the Christmas stalls shined beautifully from below. 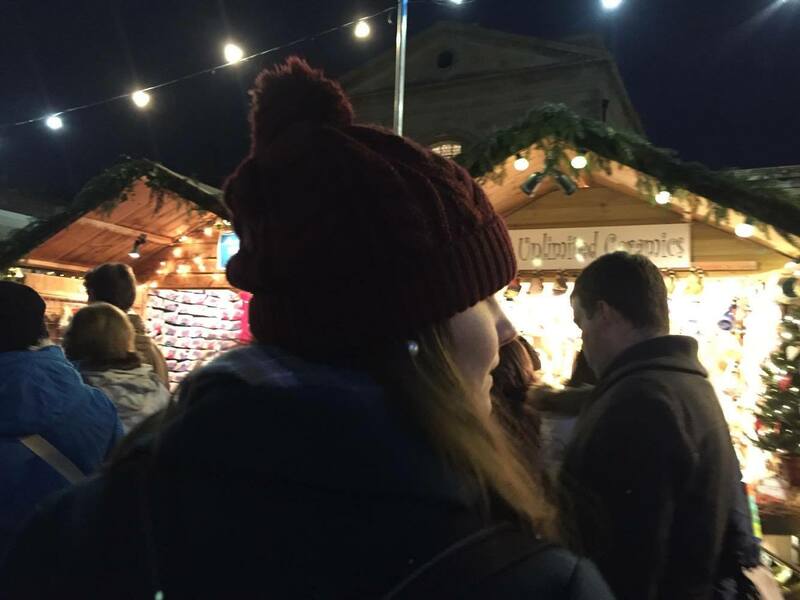 We then braved the crowds for a little bit and admired the beautiful artisan work and different food stalls the Christmas market had to offer. Gabrielle and I even found little Christmas goodies to bring home to our families. We finished our market experience with some delicious wood stove pizza before heading back to the coach for the journey back home.